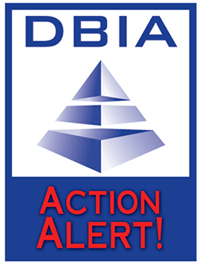 DBIA Action Alert: Write Your Senators! DBIA needs your help! The U.S. Senate is at a critical juncture with important legislation that would improve federal project delivery procedures for design-builders. The legislation would require agency heads to better justify and report when their agencies short-list more than five finalists on a specific project in the two-step process. It would also limit the use of single-step design-build to projects that are less than $750,000. Please use this template to contact your Senators. The U.S. House Of Representatives on Tuesday passed Veterans Affairs legislation with an important endorsement of design-build. The bill, the VA Construction Assistance Act (H.R. 3593) would implement various medical facility construction reforms, and also includes language instructing the Department of Veterans’ Affairs (VA) to use design-build “to the extent practicable.” After a disturbing report last year on the VA’s history of delayed and over-budget projects, Representative Mike Coffman (R-CO) introduced this bill, and during drafting DBIA’s team – headed by Craig Unger, DBIA’s Federal Sector Outreach Committee Thought Leader – worked with Rep. Coffman to include language encouraging the use of design-build. The bill now moves to the Senate, which has until the end of the year to consider it. As part of federal initiatives to increase the energy efficiency of government buildings, the U.S. General Services Administration (GSA) invested $72 million to revamp an old industrial site and build a new headquarters for the Seattle, Wash., U.S. Army Corps of Engineers (USACE). The location, classified as a brownfield site, was previously occupied by a warehouse built in the 1940s by the USACE, which had gone through several private owners before being returned to the government. This left the design-build team of Sellen Construction and ZGF Architects LLP with the task of not only creating a 21st Century office building, but bringing the site up to environmental standards. DBIA's Geoff Corey writes, "Each August I travel with DBIA's Director of State/Local Legislative Affairs, Richard Thomas, to the National Conference of State Legislatures. The gathering attracts thousands of state legislators and their staff from across the country, so it’s a great opportunity to talk to key decision makers in state policy about the benefits of design-build project delivery." As the General Services Administration waits to see how much construction funding congressional appropriators will provide for FY2015, the reality of a more austere overall budget environment is reshaping the way GSA works with the architecture-engineering-construction industry, says Michael Gelber, deputy commissioner of GSA's Public Buildings Service. The Department of Transportation is awarding $600 million worth of grants to 72 infrastructure construction projects in 46 states and Washington, D.C., the agency announced recently. The grants, from the agency's 2014 Transportation Investment Generating Economic Recovery (TIGER) grant program, were awarded to projects that were selected from 779 applications from 49 states, the DOT said. NJIT’s online MSCE program offers a specialization in Structural Design & Construction. Acquire the advanced technical expertise to deliver structural solutions for complex design challenges, while cultivating management expertise. Top-tier University ranked by U.S. News & World Report. MSCHE accredited. No campus visits required. Learn More. On Friday, Sept. 5, 2014, the Federal Highway Administration (“FHWA”) published its final rule for Value Engineering (“VE”) for road and bridge projects. The new rule implements changes made to VE requirements under Moving Ahead for Progress in the 21st Century (“MAP-21”), the last surface transportation authorization law that was signed into law in July 2012. You can find the Text of Rule here. Onondaga County can now have the same company design and build the Onondaga Lake Amphitheater to meet "an aggressive construction schedule." Gov. Andrew Cuomo recently signed legislation granting the design-build authority that Onondaga County had requested, Cuomo's office said in a news release. The Obama administration recently announced a series of measures to help shore up crumbling U.S. infrastructure, including half a billion dollars in loans for the electric grid. The moves are part of the administration's efforts to address what it says is a $1 trillion funding gap for transportation, water and electricity needs over the next six years. The Cuomo administration and the New York State Thruway Authority, still pre-election mum on their financial plan for the new Tappan Zee Bridge, are barreling ahead on building a joint headquarters for the Thruway Authority and the Department of Transportation. For all of its many benefits, LEED certification is not an easy goal to achieve – the application process can be arduous and review times can be significant. LEED Proven Provider, a new tool provided by the Green Building Certification Institute and the USGBC, is designed to help building owners and facility managers choose organizations with consistent LEED-certification project management experience to help expedite the process. Given the sheer size of its infrastructure and growing urban population, the US has the potential of becoming the largest market for public-private partnerships (P3s) in the world, says Moody's Investors Service in its "Global P3 Landscape" report. An increasing number of US states are authorizing the use of P3s for transportation projects, typically the first type of P3 project in a new market, and the use of P3 models has been steadily increasing over the last five years. Osceola County, Florida plans to issue a request for qualifications in the next 30 days for a design/build team for the Florida Advanced Manufacturing Research Center. The contract represents a $50 million opportunity for a design-build team, and will provide work for 350-450 construction workers. Additionally, it means officials are moving forward with a project that could create 20,000 direct jobs in a decade. Gov. Andrew M. Cuomo announced the start of construction on a $12.8 million project to replace the aging Carlls Straight Path Bridge over the Long Island Expressway, or LIE/I-495, in Dix Hills, Suffolk County. The project, which involves designing and building the bridge, will improve the safety for pedestrians, bicyclists and approximately 180,000 motorists who use the section of the Long Island Expressway each day. At the edge of the campus of Indiana University–Purdue University Indianapolis, near the White River, the new Sidney & Lois Eskenazi Hospital serves a vital mission in the city's health care system. The structure’s bold, cantilevered rectangles of blue vertically striped glass—evocative of DNA marker slides—enhance the city’s architecture as well. But creating this dramatic structure presented engineers with formidable challenges. HDR is on the I-4 Mobility Partners team that was selected by the Florida Department of Transportation for the I-4 Ultimate Project, which will transform mobility in central Florida. HDR is teamed with Jacobs Engineering Group, Inc. in the design joint venture tasked with leading engineering for I-4 Mobility Partners. The joint venture is responsible for delivering final designs of the project, including roadway/traffic control, drainage, structures, intelligent traffic systems, signing and signalization, lighting and landscaping/aesthetics. More and more companies are facing the challenges of having multiple generations working side by side. This year's Closing General Session on Wednesday, Oct. 8, from 12:30 p.m.-1:45 p.m., will feature Generational Expert Hannah Ubl. She will identify critical generation gaps that can lead to turnover and dissatisfaction, explore how the generations act and react to growth and change and present solutions for communication, engagement, team synergy and motivation that will help attendees work together more effectively. New member listing as of Sept. 15, 2014.